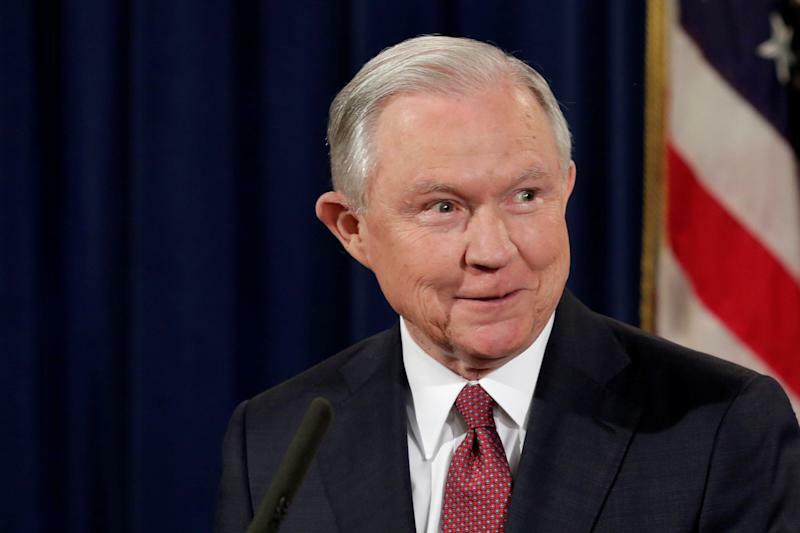 U.S. Attorney General Jeff Sessions speaks at a news conference to address the Deferred Action for Childhood Arrivals (DACA) program at the Justice Department in Washington, U.S., Sept. 5, 2017. Matthew Whitaker, a former U.S. attorney for the Southern District of Iowa during the George W. Bush administration, has been appointed as Sessions’ chief of staff, a Justice Department spokesman said Friday. Whitaker, a CNN legal commentator,wrotelast month that PresidentDonald Trumpwas “absolutely correct” when he said it was a “violation” for special counsel Robert Mueller to investigate the Trump family’s finances. “It is time for Rosenstein, who is the acting attorney general for the purposes of this investigation, to order Mueller to limit the scope of his investigation to the four corners of the order appointing him special counsel,” Whitaker wrote. Whitaker replaces Jody Hunt, who wasnominatedto become assistant attorney general in charge of the department’s Civil Division. Hunt was apparently the third person present at a key meeting between former FBI director James Comey, Sessions and Trump. Most recently, Whitaker was executive director of the Foundation for Accountability & Civic Trust (FACT), a conservative group that targets Democrats over ethics issues. He said in May that he believed there was a “strong case” against former Secretary of State Hillary Clinton and that she should be “extremely grateful” she wasn’t prosecuted.